The following post is one of several reasons I love my job. Travel can be tough, like the time I worked in 3 different states in one week while fighting flu-like symptoms. Then there are times like this trip that introduced me to The Java Script. I met people who love their job, running a unique and impressive bookstore that I happened upon via Yelp. It’s stores like these that gives me hope that the independent bookstores can thrive. As I continue these journeys I’ll be adding more pictures to my Pinterest board, and tweeting about them at @jmccarthyeds. There are many precious gems to keep alive. Here’s another one. Enjoy. Texarkanna is a tale of two states shared by one city. Three hours away from Dallas, its distant cousin—Texarkanna is a center where all roads must pass through. Some might look upon the city with its many pawn shops and see what might have been. This would be an error of lack of vision. Like any urban community, the city has many worthwhile places to stay, eat, and visit. One such gem is The Java Script, a mom and pop (literally) bookstore on the Arkansas side, a block away from one of the main thoroughfares. The bookstore name implies a café that serves coffee. No coffee is for sale as of this posting, although if you ask Debra Hall and Gene Keller, the owners, for a cup, they might provide one, given their hospitable nature. When I entered the store, they treated me like an invited guest, and I’m sure that’s how everyone coming to the store is made to feel. 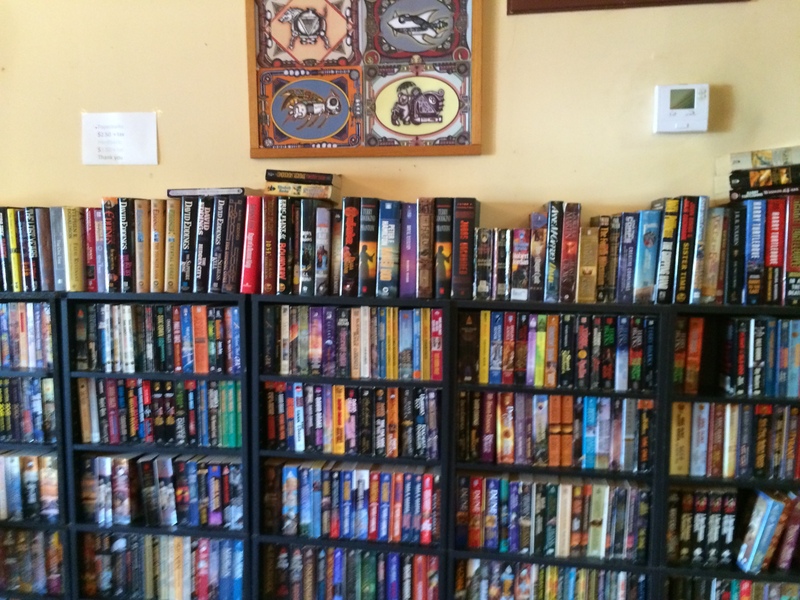 Debra Hall gave me a tour of the rooms—each decorated to fit the genre theme of the books it housed. I felt like I was on a journey inside the worlds of Western, Mystery, Science Fiction, and others. My favorite was the YA & Children’s room. 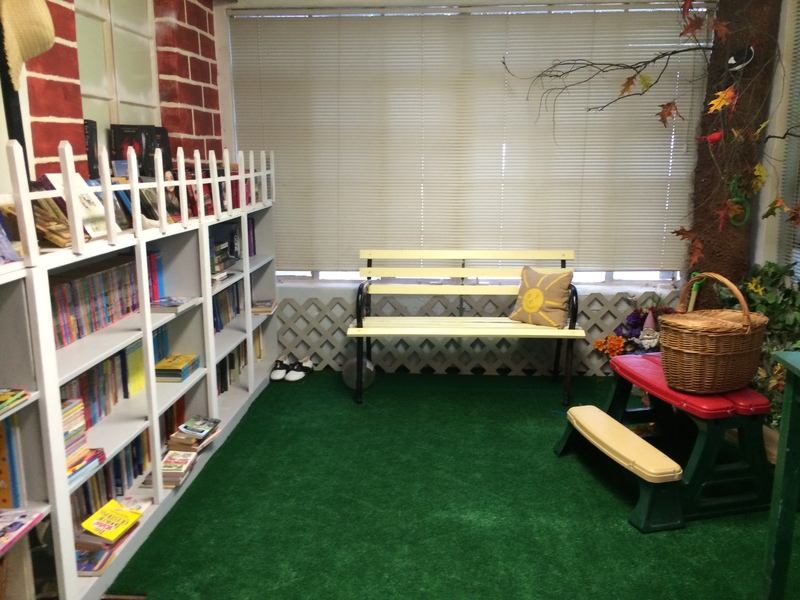 Carpeted in fake grass and a picnic table, the bookshelves lined one wall in the brightly lit room. 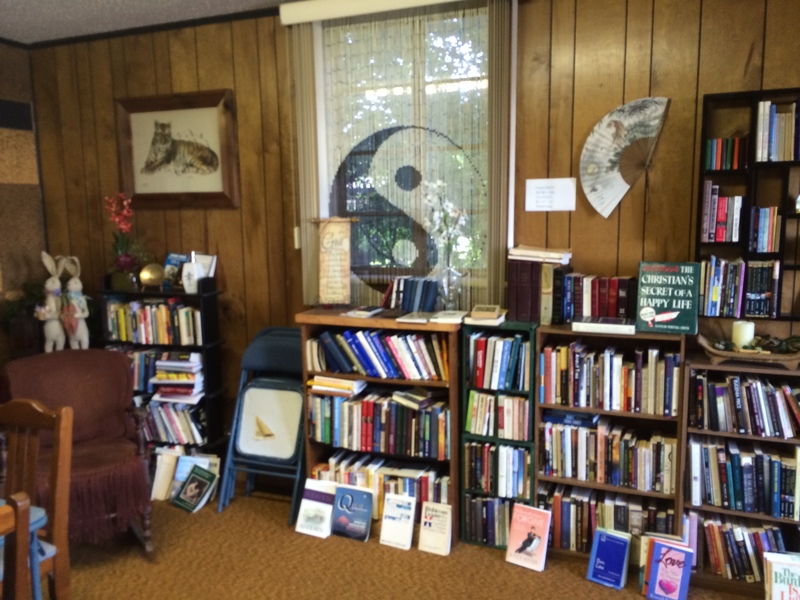 In the main room there is a bookcase of books by local authors and books signed by authors. The store once held antique typewriters and other artifacts. Unfortunately, a week prior to my visit, those items were stolen. When you visit this store, and it is worth a visit if you are within 3 hours, such as Dallas or Little Rock, you’ll realize how depraved a robber must be to intrude on the lives of these people. I arrived at the store with an hour to spare before they closed. That day was Debra’s birthday, which they did not mention until I was ready to leave. Had I known, I would have left sooner, but such is their hospitality. This is the first bookstore that I’ve explored that did such a brilliant job of designing the rooms based on the genres they sold. Amazing! The selection is modest, yet substantive enough that I found 5 books to enjoy. 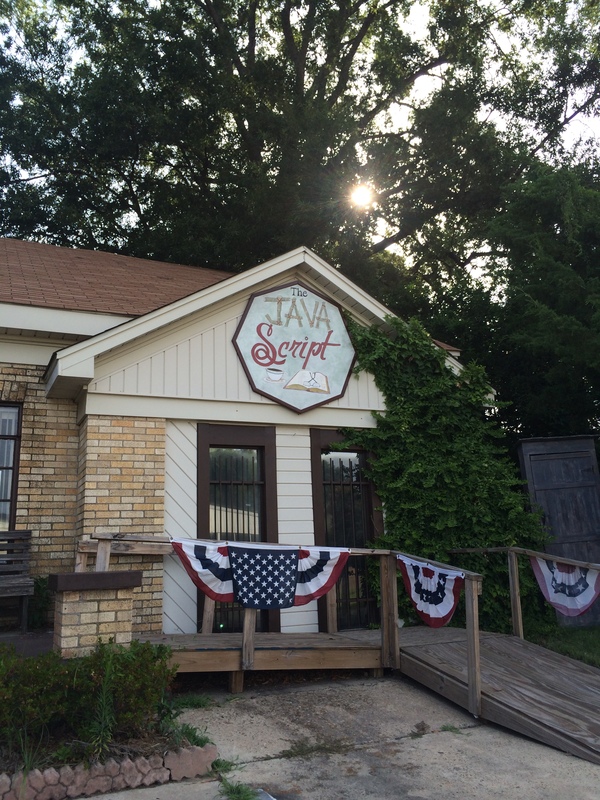 When passing through Texarkanna, Texas, visit The Java Script. The experience will be better than a caffeine boost. What gems of bookstores have you discovered? I would enjoy visiting this bookstore. From the pictures you took, I could tell that the bookstore is indeed very inviting. I love this concept for a bookstore! Heart warming story. Makes me want to visit. Since I designed stores for a retail architect, I can see the appeal of designing rooms around book genres. It sounds like a cool book store. Yes. It’s worth seeing. Cool design. 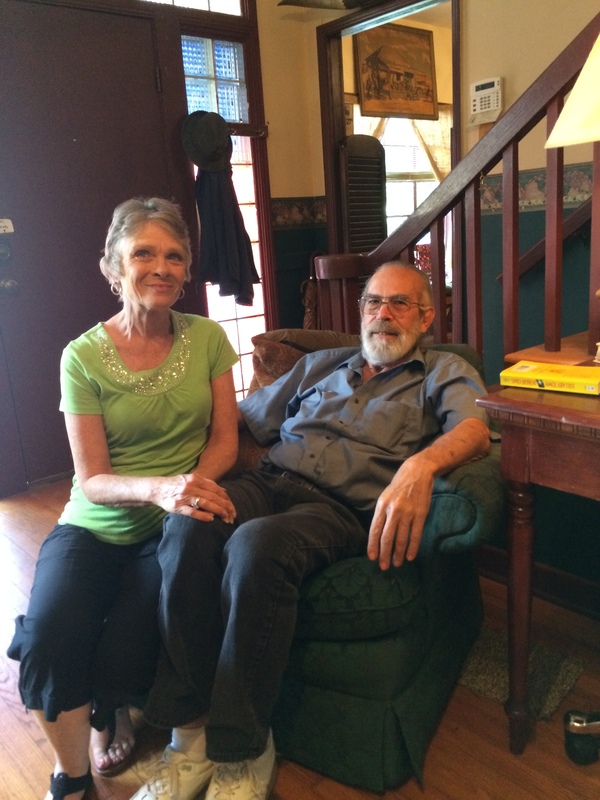 Great story, John, thanks for sharing… You get enough of these and you could write a book!